At Lake Marion Golf Course you will find an extensive selection of equipment and apparel by the game’s best brands. 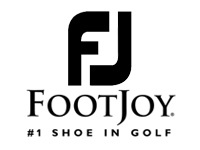 We are also the largest on-course FootJoy retailer in the Carolinas stocking nearly 2000 pairs of shoes for men, women and juniors – including wide widths. Whether you are a frequent customer, vacationing golfer or traveling by us on I-95, the Lake Marion Golf Shop is the perfect stop for all of your golf gear needs.